A new garden – or a new determination to transform the garden – can be a daunting prospect. There are two possible approaches: do it all at once, or do it bit by bit. Doing it all at once, if you can afford to do so, is obviously an attractive proposition. You get the garden you want in very little time, and can enjoy it fully and properly as soon as it’s done. Doing it bit by bit is easier on the purse strings, and is also a good option if you’re not sure how much time you’ll have to devote to gardening as your plans can be amended as you go along to accommodate different circumstances – adding lower maintenance areas for example, or including more veg-growing space because you’ve discovered you enjoy that most of all. Either way, before you start, spend some time thinking about exactly what you want the garden for. Do you want purely ornamental planting, or productive areas as well? How much, if any, lawn do you want – do you need to supply a sports pitch or play area for the children? 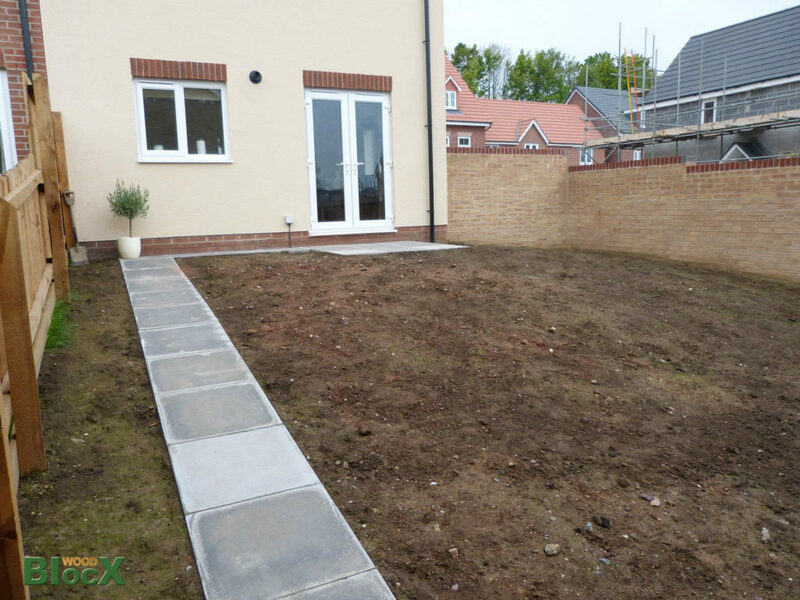 What about seating and entertaining areas and storage (where’s the lawnmower going to live?)? Then assess what you want against how much time you have to look after it, amend your plans as necessary, and then it’s time to design your garden.The design needn’t be complicated, but if the idea of working it all out fills you with dread, or even if you just want a second opinion, think about using a design service. Unlike many others, the one offered by WoodBlocX is completely free and puts you under no obligation to buy. 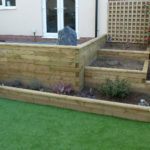 Most garden designs will use some form of hard landscaping, but there is no need to be daunted by this if your DIY skills aren’t up to scratch! 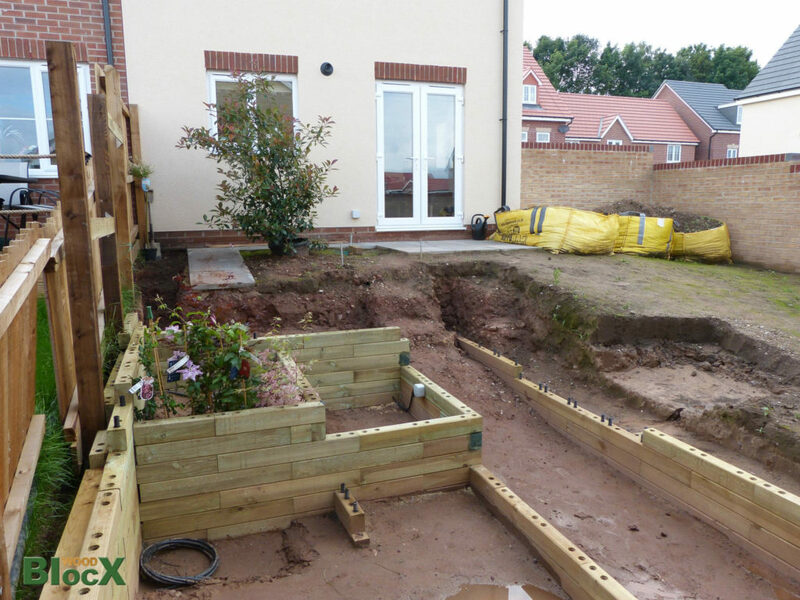 WoodBlocX can be used to build raised beds, planters, seating, ponds and edging, and all without a power tool in sight. They are all also guaranteed to last for at least 15 years. Even the most difficult-looking of gardens can be transformed with a bit of thought. 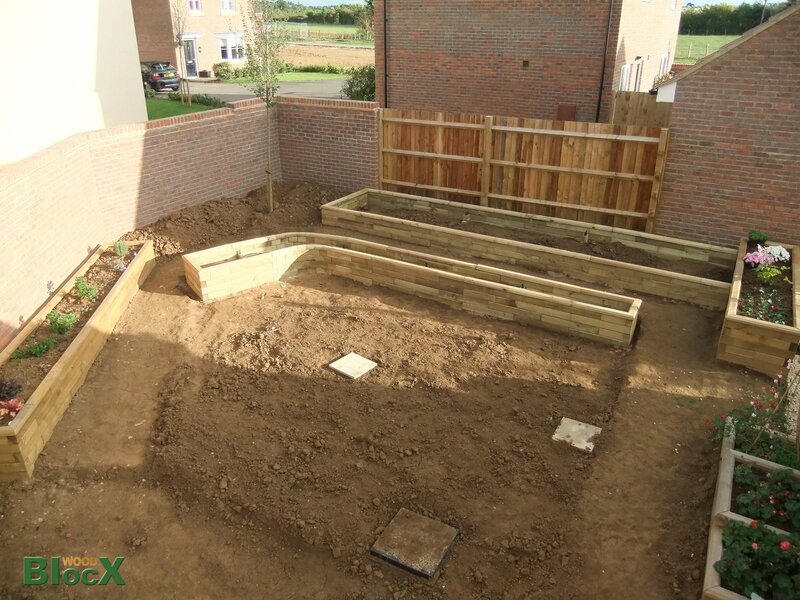 A steep slope can be terraced to create a stepped garden with flat beds and paths: WoodBlocX will do all the calculations, and design specifications for you, and their strong interlocking construction method means complete peace of mind once your garden is finished. Front gardens and courtyard gardens are often neglected, but a few simple beds or some edging can really transform the look and feel of these spaces. 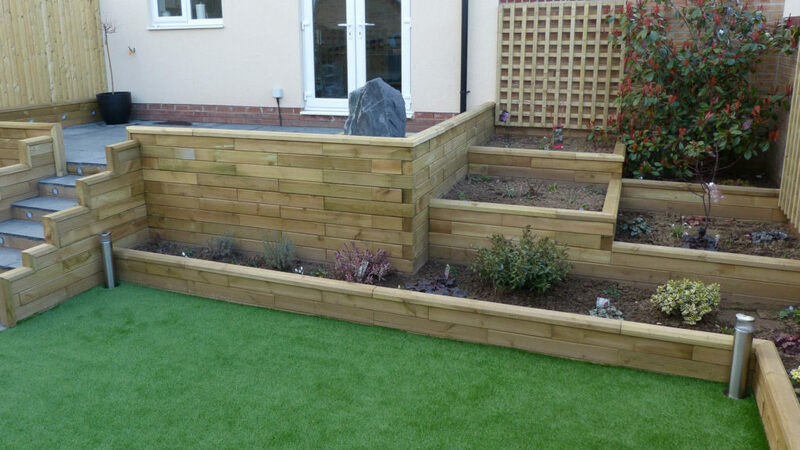 Raised corner beds are especially good for small urban courtyards – WoodBlocX have single and multi-level options, or you can give them your specifications for a free bespoke design. Wooden planters are also a really good choice for courtyards or to flank a front door: they are smart, can be painted any colour you like, and will not crack or corrode. 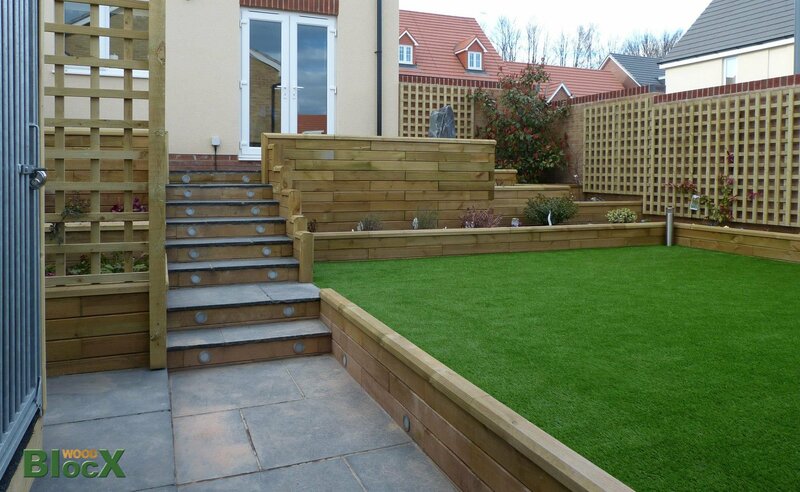 Whatever you end up doing with your outdoor space, remember that gardens are there to be enjoyed, not to be a chore!